Length of subscription options will be available after selection. 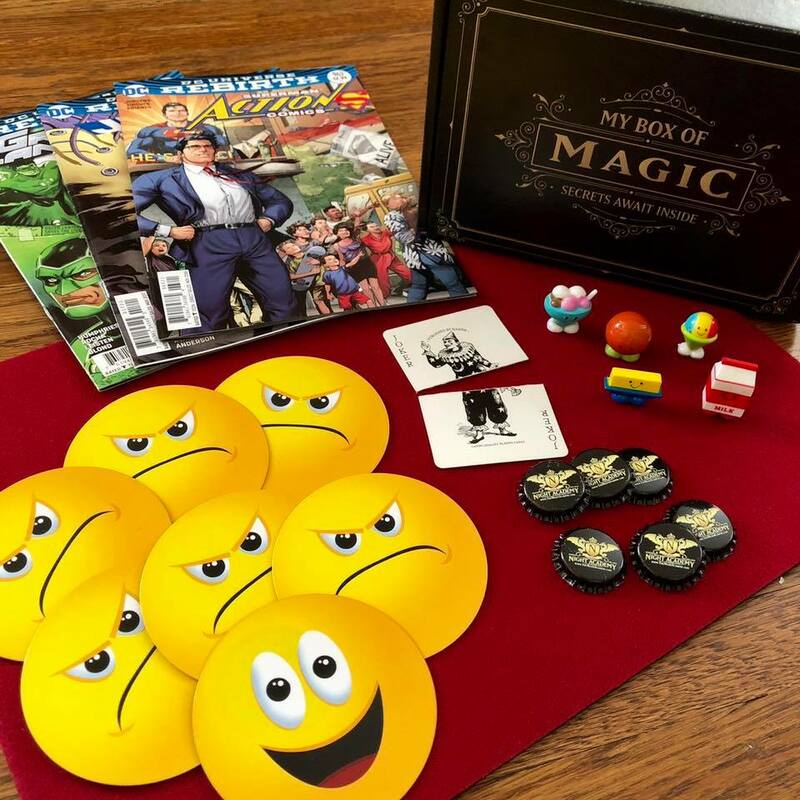 The Night Academy is proud to introduce MY BOX OF MAGIC, a subscription box magic academy featuring monthly selections of hand-selected props, tutorials and effects for serious students of magic aged 8-12 years old (and their parents!). Inside each monthly box that arrives in your mailbox, you’ll discover physical resources, props and collectible materials, plus secret links to performance videos and tutorial videos presented with a professional magic perspective. We’ll even cover the history of magic, the psychology of misdirection, and the science behind why tricks work! Magic is a phenomenal life skill that every boy and girl should explore. It teaches and encourages: Manual dexterity Following directions Showmanship Communication skills Public speaking Critical thinking Book reading Building self confidence and self esteem Overcoming shyness Providing a great parent/child relationship activity Designed with kids’ hand-size, interests and sense of humor in mind! IMPORTANT! This selection WILL NOT start you on the first box!! Already own Box One? Or maybe you've had a three or six-month subscription and you NEED MORE MAGIC! If you'd like to extend your subscription without getting repeat boxes, this is for you. 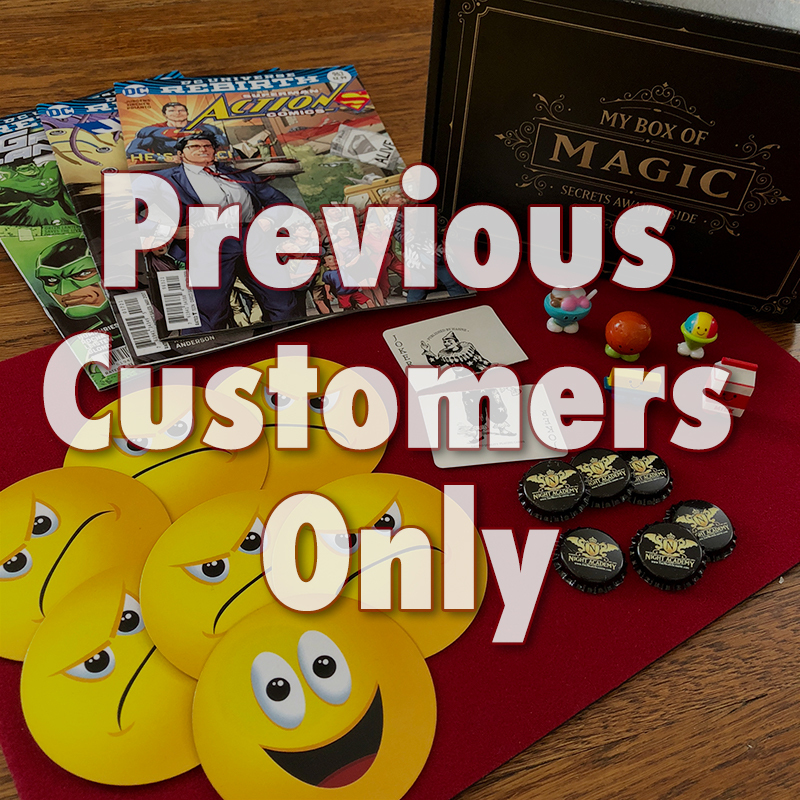 This is the continuation of the subscription for customers that already own one or more My Boxes of Magic. Your can choose the number of your first box to be delivered, and monthly boxes will continue for the duration of your plan. It's okay to subscribe if you're a grown-up. The magic is that good!